This new educational series is all about empowering you with knowledge and insight in cryptocurrency investing and trading. The beauty and beast of crypto-investing is that anyone can do it. 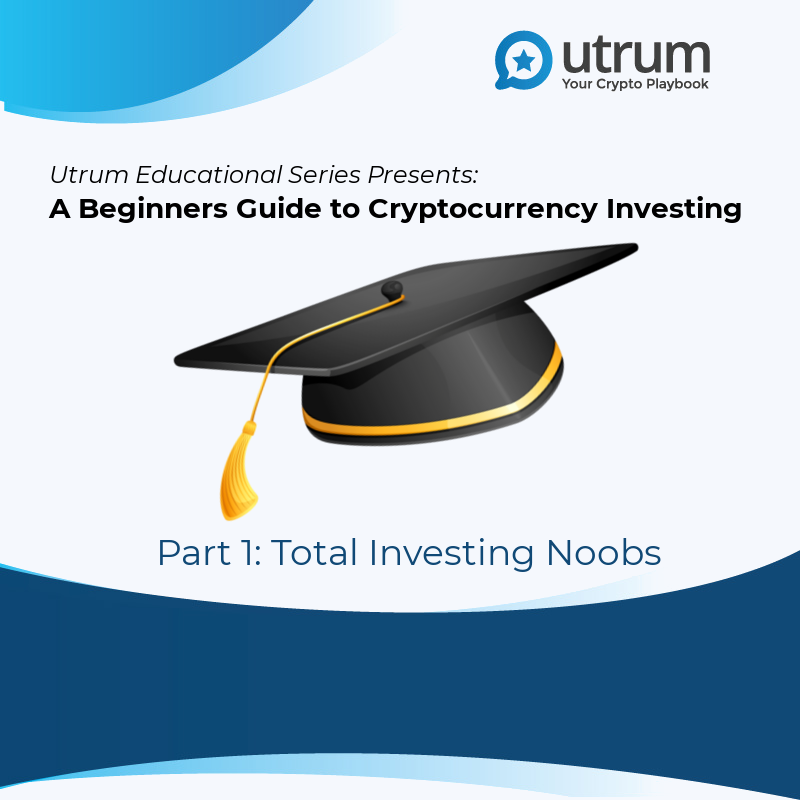 We here at Utrum want the experience to be more of the “beauty” for you while “taming the beast” with some best practices, understanding, knowledge and great education. This is Part 1 of our multi-part Beginners Guide to Cryptocurrency Investing. We’ll release a new part each week, so be sure to follow us on Medium to get the latest! Before you jump in, it’s important to establish your knowledge, your beliefs and your principles/rules for investing in whatever Token you’re investing in. Educating yourself on a project is what makes it possible for you to hold strong beliefs about it. Beliefs are why you want to invest. They need to be held and embraced in order to be adopted. Principles and Rules are your established methods for engaging in your investment behavior, the triggers that you obey, the logic you follow for actions taken. Establishing a solid foundation, a basis, empowers you to make smart, non-emotional decisions, protect you from losing your head or your shirt, and allow you to create value in your portfolio. The first and most important task to take on before investing in cryptocurrency is educating yourself on the project driving the coin. Every crypto asset is not just a token/currency, it’s a technology first. Take time to research and understand what you’re getting into. Don’t just read someone’s sentiment and call that education. Get to know the community, the devs, the ins and outs of the project. Admittedly there’s a lot of high-level tech language in the documentation for many projects out there, so it may be more challenging than you’d hoped to really grasp what the project is about. So take your time to dig if a white paper is too complex, and reach out on the forums…most projects have a subreddit, a slack, a discord, or a telegram. Join the conversations. If conversation isn’t happening, if you can’t get solid data on the company, the project or code, this is also a great indicator as to the viability of the project and crypto asset. Another great educational tool for projects is just using common sense when looking at the bird’s eye view of their business plan, media coverage, hype vs reality, developers involved and the team behind the project. And if a project has investors behind it, learn about those investors and their habits, successes and failures, etc…and even try to validate their connection to the project (there are many scams that simply list big names and count on people trusting the website…which happens all too often). In short, do-your-due (diligence that is), don’t just go off the market numbers and a gut feeling. Thorough research and involvement will help you “buy in” mentally before you invest financially. This leads us to the next principle…Beliefs. Establishing your beliefs is important for when you hit dips and have the emotional urge to sell, without substantiated reasons that are also in alignment or taking your beliefs into consideration. For example, I have an overarching belief in backing technology that has a strong developer base. I also believe in backing technology that has this strong base AND a strong support system or backing system, such as large and/or reputable investors and involvement. More important, however, is my belief in the developer base and the technology, use cases, adoption potential, vision and how poised it is for expansion and success. These additional considerations support the core, the development base and can contribute to ongoing growth and expansion. In a simpler phrase, it has a great combination of proven success and potential. The point is, being clear on your beliefs as to why you want to invest in a particular cryptocurrency…or in cryptocurrency in general, is foundational to your success. Without this, you’ll flip and flop until you’re financially bled dry. These are the rules you set up for yourself before you get started investing. Setting up strong principles and rules will create boundaries that contain your actions and decisions. While you’ll want to form most of these yourself, from your own experience or the advice of other investors you trust, I’ll offer a few of mine to give you an idea of how to form these and what they look like…and of course feel free to use mine! Along with your beliefs, these will help guide you in your journey so emotional times are not likely to rattle your investment…especially for those of you who (like me) are investing to hold long term, rather than trading. This is a common one, only invest “play money”, the money I can lose without any ill effect on my life. My income, for the most part, is not play money. But I have a small percentage I categorize as play money or “throw away money”. This is critical to keeping your emotions out of your investment. If you cannot afford to “throw away” the money you want to invest, simply don’t invest. This is one of my own, that simple means if I see the price going up, that does not mean it will certainly go down OR keep going up. My decision to buy more or sell, needs to be based on more than the movement in price. This is a tough one, human nature sees it going up and is afraid it will lose out if it doesn’t buy…then it buys…then the price drops and human nature freaks out and sells. So what ends up happening is totally counter-intuitive…buying high and selling low, straight out. If your money is play money this impulse isn’t as strong. But if you have a strong greed quotient, the impulse could overpower you, so establishing a principle can help mitigate that sort of erratic and harmful behavior. When I first began investing in cryptocurrency I followed a Dollar Averaging model. The premise is pretty straight forward: have a budget that is broken down into days, buy only your budgeted amount every day regardless of the fluctuations. Your “dollar average” will work out in the mix of lows and highs. But I modified this to include “The Dips and Lulls”, meaning I use this principle as my base methodology for investing in cryptocurrency during long periods of steady price fluctuation. When it comes to learning of an opportunity that poises for a significant climb, I changed my methodology to an “all in” and went ahead and used up my entire current budget for that month or pay period, or whatever, and bought all in. This is not something you do recklessly, but based on research and logical news, events, etc. So while still a risk, it’s a measured and educated risk, the same as the investment in general. I’ll do the same on heavy dip periods. Say I had been dollar average buying KMD Komodo at $2.20 for a few months…then the price dips hard to $1.20. I don’t freak out. I use this opportunity to buy more, bringing my overall investment “dollar average” down from $2.20, to somewhere sub $2. The more it dips, again depending on why it’s dipping…the more I will most likely buy. This is also a great reason to have a plan for investing that sort of “trickles” your buys out over time. If you use up your entire investment budget in one buy, then the price dips hard, you have no leverage remaining to average out your overall investment. Conversely, if you trickle your buys slowly and that dip comes along, you can buy a larger chunk and significantly impact your overall investment price for the better! That brings us to this principle. You really MUST set goals for your investment activities. These could be your sell points (like when your investment has hit a mark, etc) or other goals unrelated to selling, like diversifying, etc. Goals may be long term, for example my primary goals for investing in cryptocurrency are a combination of adding a creative retirement fund and exploring more up and coming crypto/blockchain projects, getting involved at a deeper level with these projects, etc. So my goals are more long term, which impact my holding vs selling actions directly. 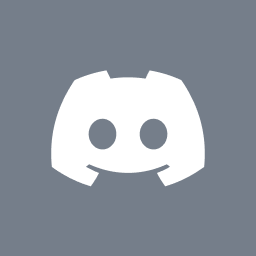 Join our conversation on Discord and Telegram!